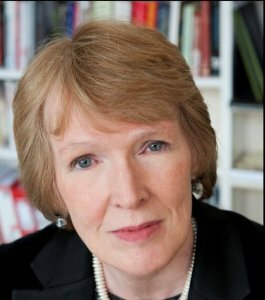 Confederation Centre of the Arts is pleased to announce that the 2018 Symons Medal will be awarded to internationally acclaimed historian and author Professor Margaret MacMillan. The Symons Medal is one of Canada’s most prestigious honours and recognizes a distinguished individual who has made an exceptional contribution to Canadian life. The award will be presented to Dr. MacMillan at Confederation Centre on November 23, 2018. Previous Symons Medal recipients include the Prime Minister of Canada, the Right Honourable Justin P.J. Trudeau; Acadian author and scholar Antonine Maillet; His Royal Highness Prince Charles, Prince of Wales; His Excellency Governor General David Johnston; former Prime Minister Paul Martin; the Right Honourable Beverley McLachlin, P.C., Chief Justice of Canada; President of the national Inuit organization, Mary Simon; and former Québec Premier, Jean Charest. Professor of history at the University of Oxford and former Provost of Trinity College at the University of Toronto, Dr. MacMillan is one of the world’s most distinguished specialists in modern international history. Her research focus is British imperial history, international history of the 19th and 20th centuries, and the causes of war, specifically World War One. She is known as a historian whose published work is engaging for both experts and general audiences. Her many publications include Paris, 1919: Six Months that Changed the World, The War that Ended Peace: The Road to 1914, and History’s People: Personalities and the Past. Among her many awards and accolades, Dr. MacMillan is a Companion of the Order of Canada, a Fellow of the Royal Society of Literature, and holds seven honourary degrees; she was the first woman to win the Samuel Johnson Prize (now The Baillie Gifford Prize for Non-Fiction). Also known for her insightful contributions to public discourse, she is a sought-after commentator on pressing international issues of our time. “On behalf of CEO Jessie Inman and Professor Tom Symons, for whom this medal and lecture is named, we are proud to announce the esteemed Professor Margaret MacMillan as the recipient of the 18th Symons Medal,” said Chair of the Fathers of Confederation Buildings Trust, H. Wayne Hambly. The BBC recently announced Professor MacMillan as the 2018 BBC Reith Lecturer, an internationally renowned series now celebrating its 70th year. She will deliver five lectures in June 2018 exploring the relationship between humanity and war in London, York, Beirut, Belfast and Toronto, which will then be broadcast on BBC Radio 4 and BBC World Service. Dr. MacMillan was educated at the University of Toronto and the University of Oxford. She was a member of Ryerson University’s History Department for 25 years, Provost of Trinity College at the University of Toronto from 2002 to 2007, and Warden of St Antony’s College and Professor of International History at the University of Oxford from 2007 to 2017. She is an Emeritus Professor of International History at the University of Oxford, Professor of History at the University of Toronto, the Xerox Foundation Distinguished Scholar at the Henry A. Kissinger Center for Global Affairs at Johns Hopkins SAIS, and a Distinguished Fellow of the Munk School of Global Affairs. Since 2004, Confederation Centre has honoured 17 distinguished Symons Medallists. Held each fall, the medal ceremony creates a national platform for a prominent Canadian to discuss the nation’s current state and future prospects. The 2018 Symons Medal Ceremony will take place in the Homburg Theatre at Confederation Centre of the Arts in Charlottetown, PEI. It will be livestreamed on Confederation Centre’s YouTube channel and available on the Centre’s website shortly thereafter. Tickets for this important ceremony will be available via the Box Office at a later date. There is no cost to attend but a printed ticket is required for admission and the booking limit is two tickets per person.